People assume I compete in figure competitions. The explanation that I’m a competitive powerlifter is not what most expect. I hear comments like “but you’re too small!” or “how is that even possible?” The feedback is said with good intention; yet, it’s still surprising that people say they’ve never seen a girl squatting or deadlifting heavy in the gym before. My interest in powerlifting started about five years ago while I was involved in a practicum placement at the Olympic Oval. I recall being in awe of the ease and modesty with which the athletes lifted such heavy weights. My experiences in general gyms were of guys bragging and strutting around and flexing in the mirror to show off their muscles. These athletes, on the other hand, were lifting quadruple the amount of weight I’ve ever seen, and doing it like a normal everyday occurrence. I then realized how fulfilling training could be if structured for performance-based goals rather than aesthetic purposes. Another difference I found in athlete-centered gyms was that females were treated with the same respect as their male counterparts. The women were serious athletes who were training the same way as the men and not congregated in a separate cardio area. It was not until 2010, though, that I decided to start training for a powerlifting competition. I had been contemplating training for a competition with an eight month plan to prepare; however, I learned of a competition being held in Calgary only two weeks away. I took the plunge and registered without even knowing if I could perform one technically sound maximal-lift! It was scary not knowing what was going to happen or what to expect but it turned out to be a positive experience for me and drove me to train harder in anticipation for the next competition. In the past three years, I have competed in five Canadian Powerlifting Union competitions. My first competition allowed me to learn what a competitive powerlifting environment looked and felt like, and by the time I got to my second competition, I placed first and was awarded the best overall lifter. At the 2012 National Powerlifitng Championships, I placed first and set three National records for bench press, deadlift and overall powerlifting total. As a personal trainer, being exposed to the fitness industry, I understand how the stigma of women lifting heavy weights has been ingrained into Western culture. Magazines portray ‘fit’ women in a way that highlights their physical beauty with fashion-like photos, incorporating light weights as props, rather than displayed for function. On the other hand, it is unquestionably common to see men in action shots, where the context of the photo focuses on physical accomplishments and feats of strength. I view my role as a female powerlifter, and personal trainer, to help shape a new ideal for women, where strength is considered beautiful and physical functioning prevails over superficial appearance. Now, I recognize that “the way one looks” is important to most of my clients, but the commonly held way to achieve this is often guided by the misconceptions of how women ought to work out, which undermines the pursuit of physical strength. Physical strength and functioning should not be sacrificed in the pursuit of a “physically fit” body, and as I will discuss, you can achieve both of these goals simultaneously. Many of my female clients have body composition goals, that is, to lose fat. The most effective way for women to reach their body composition goals is to build muscle through weight training due to the resulting increased metabolism. Muscle tissue consumes calories during activity, even during rest. Therefore, the higher amount of muscle you have, the greater your caloric expenditure over the course of the day. Women do not have to be concerned about becoming larger as a result of building muscle, because we lack the level of muscle building hormones and testosterone necessary to build bulky muscle. Instead, lean and dense muscle creates a smaller and more compact body shape. In comparison, fat cells are large and voluminous and do not require calories to exist. The take home message here is that, to change your body composition, building muscle will condense your body shape while increasing calorie expenditure to assist in fat loss. Knowing what we know about basic physiology, how can we take this information and translate it into results? Structuring appropriate training principles into your program will help achieve a range of body completion goals. There are two types of muscle tissue adaptations that are altered by weight training: peripheral adaptations and central adaptations. Peripheral adaptations include hypertrophy or increased muscle fiber number and size and increased capillary number. Central adaptations lead to increased strength and power through nervous system factors including increased motor unit recruitment and enhanced synchronization of motor unit firing patterns. Both training parameters are important to include in a weight training program as peripheral and central adaptations work together; however, depending on specific goals, your program should be structured to focus more on one or the other for optimal results. In other words, peripheral adaptations build muscle, and central adaptations build strength stability and motor control. Bodybuilders, who have goals to build large round muscles, do so by targeting peripheral adaptations through lifting relatively lighter weights for high repetitions in isolated muscle movements, such as bicep curls where only one joint is bending. These programs are designed to focus on one specific muscle group at a time and supplements are often utilized by female bodybuilders to promote increased muscle growth through induced hormonal response. By comparison, building strength and compact muscle tissue requires focus on the central nervous system to target higher threshold motor units. Utilizing higher threshold motor units causes a larger number of muscle fibers to engage simultaneously in a uniform movement pattern, creating an increased capacity to control heavier loads. Strength development and neural control is accomplished through lifting heavier weights for fewer repetitions while performing multi-hinge movements, which utilize a large number of muscle groups at once. Having the capacity to lift heavy weights and increased strength also has significant psychological benefits, such as enhanced confidence and feelings of empowerment, which translates into all areas of life. I find it sad to see the rows of women on the cardio machines draped over the handlebars, reading beauty magazines and getting nowhere, when they could be building muscle, strength, bone density, confidence and stronger ligaments in the weight section. Powerlifting is the perfect sport for women for numerous reasons. The sport offers women a structured method for achieving body composition goals, physical and mental strength, measurable and scheduled goal attainment, and a supportive social community. The benefits of powerlifting also exist later in life by building a foundation of increased bone density, stronger ligaments and increased muscle mass. These elements are valuable later in life to maintain a functioning quality of movement and independence in older adults. I only trained for two weeks before my first competition and did not have any difficulties lifting significantly heavier than the minimum requirement of 25kg. In addition, it was helpful for me to get the first competition out of the way and have a benchmark from which I could set goals to base my training. Regardless of gender, most people will never feel ready for a competition; it is valuable to simply go through the first competition without expectation. The first competition should be about the experience and to gain a framework of what a competition is all about. Subsequent competitions can then be targeted for performance-based goals. I do believe, however, that more resources should be available to help women enter the sport. The gym floor can be an intimidating and sometimes unwelcoming environment for a female who does not know proper technique for lifting weights. Also, the fact that there are not many women involved in the sport make it difficult to find a training partner or coach who understands how to work with female athletes. Although the exercises are the same regardless of gender, I have found that programming needs to be adjusted for women. Power output relative to body mass is lower for women compared to men due to a lessened capacity to recruit higher threshold motor units at the same relative load (Chiu, 2008). In other words, females tend to train more effectively at sub-maximal rep ranges that allow optimal performance by virtue of avoiding loading that engages high threshold motor units. In addition, the minimum incremental weight increase is usually a smaller difference due to the fact that most gyms stock two-and-a-half pound plates as the lightest weight. Therefore, a man squatting 400lbs adds five pounds of weight to the bar, which is only a one percent increase in load; however, when a woman adds five pounds to her 100lb squat weight it is an increase of five percent. A five percent increase in load can be drastic for a given rep range and can make the weight either too light to be effective or too heavy to manage for the prescribed protocol. It is valuable to work with a coach who has credentials in Kinesiology or Exercise Physiology to ensure an athlete’s training program is designed with the most effective and appropriate weight prescriptions. As well, powerlifting coaches with competition experience can instruct on proper exercise technique that will conform to competition guidelines. For my own training, competing in powerlifting is how I have stayed on track and remained serious about my goals of getting stronger physically and mentally. I have become a happier and more self-assured person as well as physically stronger due to the empowerment that the sport has brought me. Recently, I have not been actively competing due to a hamstring injury sustained in July 2012. I tore my hamstring stretching and the recovery has taken much longer then I had envisioned. What I expected to be minor damage turned out to be extensive, and my rehabilitation has been long and inconsistent, requiring weekly physio sessions for the past eight months. I have still been training regularly, keeping my weights lighter and focusing on technique with goals of getting back on track as soon as possible. The time away from competition has given me an opportunity to stay involved with powerlifting through coaching, which has heightened my enthusiasm for the sport. I’ve built a team of nine female powerlifters in the past year. All of these athletes were newcomers to the sport and I coached them through their first competitions. Each woman has developed an appreciation for the sport and all share remarkable stories of how continued involvement has changed their lives. I’m particular proud of my master lifters, who are over 50 years of age. Christine Silverberg and Tracy McKim have been training with me for the past 14 months with their first competition in October 2012, and have particularly striking backgrounds and accomplishments to contribute to the sport. Tracy McKim initially started training with me to help her cope with the side effects of Crohn’s Disease. Crohn’s Disease sufferers have a higher risk of developing osteoporosis due to poor absorption and the need to use steroids to control flare-ups and induce remission. As a result, her bone density had degraded to borderline osteoporosis. Our training goals have been to build muscle mass, strength and to load the axial skeletal structure to increase bone density. Powerlifting training and competition has created the ideal framework for us to progress her training successfully. 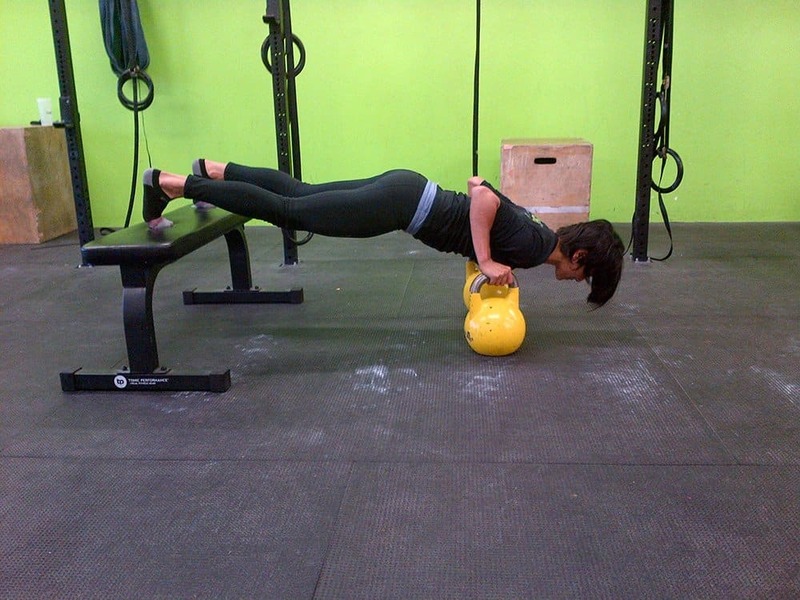 Tracy placed first at the October 2012 competition and set new provincial records across the board. Tracy has enjoyed the “what, you?” reactions she receives when people learn she is competing. She has also been encouraged by the ‘you go girl’ attitude of family and friends. Both women are leading the way and inspiring women to be strong physically regardless of age. The concept of women lifting heavier weights has been undervalued and misconstrued in the fitness industry. Powerlifting and other sports that foster strength and empowerment in women and older adults need visibility and promotion to encourage involvement and dispel myths. My vision with coaching is to create a comfortable entry point into the sport for women and men of all ages, with the emphasis on promoting physical and mental health through strength development rather than pure aesthetic goals. My powerlifting team, Team Huba, is now a registered team with the Alberta Powerlifting Union and is expanding. We encourage inclusive participation, regardless of age, gender and many physical limitations. Please visit www.hubamethod.com for bios and updates of the team and for information on how to become involved with powerlifting training.